Marchionne now holds 14.4 million common shares in Fiat Chrysler Automobiles. MILAN (Reuters) -- Fiat Chrysler Automobiles CEO Sergio Marchionne has increased his voting stake in the carmaker to nearly 1 percent after benefiting from a stock grant plan, just as the company readies to spin off luxury brand Ferrari. Marchionne now holds 14.4 million common shares in the company, a filing this week with Dutch market regulator AFM showed, after receiving 2.3 million shares in a final installment of a stock grant program approved in 2012. This equates to a 0.85 percent voting stake based on FCA's total share capital of 1.69 billion shares, including loyalty shares, according to Reuters calculations. The CEO holds 1.1 percent of FCA if only common shares are counted. The shares bonus had a total value of 31.2 million euros ($35 million) at Wednesday's closing price. The stake makes Marchionne one of the largest individual shareholders in the group, the world's seventh-biggest carmaker, whose share price has soared 75 percent since the Ferrari spinoff was announced in October. A higher stake will also increase Marchionne's sway at Ferrari, where he is the chairman. As part of the spinoff, only 10 percent of Ferrari will be offered to the market, with the remainder of FCA's stake in the iconic brand distributed to current FCA shareholders. The split from Ferrari will also pave the way for a tie-up between FCA and another global carmakers as the industry embarks on a much-needed consolidation to cut costs, analysts have said. Marchionne is widely credited with turning around the fortunes of both Fiat and its U.S. arm, Chrysler Group. He has been the CEO of both since Chrysler emerged from bankruptcy in 2009. Fiat took full control of Chrysler last year and the merged FCA moved its primary listing to New York in October. 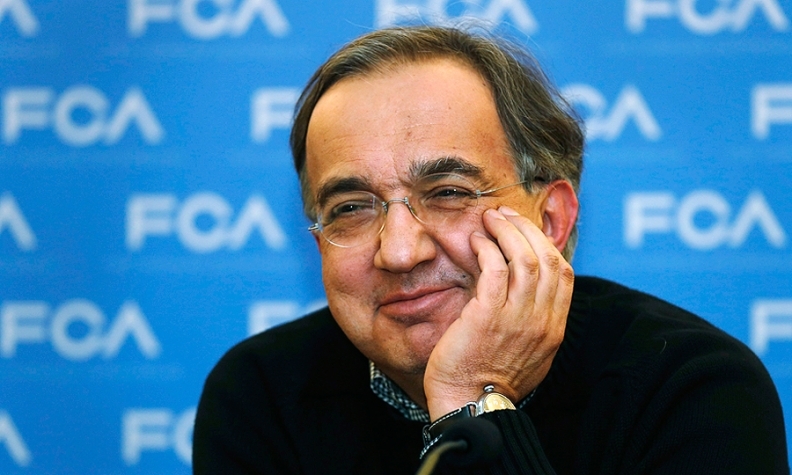 Marchionne has vowed to stay at the helm of FCA until 2018. Marchionne plans to invest 48 billion euros over five years to 2018 to turn Jeep, Maserati and Alfa Romeo into global brands that will allow FCA to rival Volkswagen and BMW by strengthening its position in the fast-growing and high-margin market for premium cars.